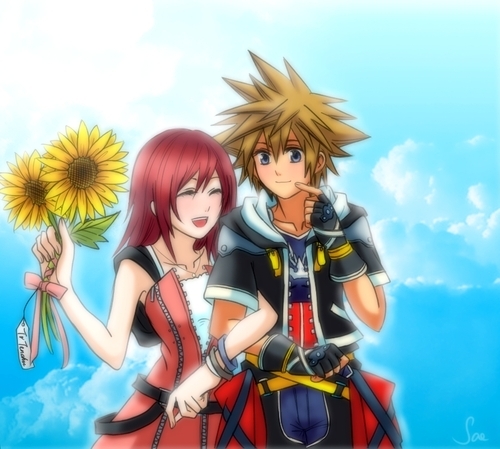 Sora and Kairi. . Wallpaper and background images in the kingdom hearts club tagged: kingdom hearts kh kh2 sora kairi. This kingdom hearts fan art might contain anime, komik, manga, and kartun. Kingdom Hearts Valentine's hari cards. My explanation for the Sora/Riku and Roxas/Axel rumor.